Helping you travel to your favorite place! For those of you who know me personnally, you know that I am NOT a fan of staying home, or have some have so lovingly stated, I have “ants in my pants”. For years BC (before children) I (and then my husband and I) travelled often both in the US and throughout Europe. Once the kids came along, I thought my days of travelling, especially to Europe, were over for a long time. Thankfully that was not the case. A little planning can make travelling to Europe with kids of all ages can be as great as travelling without them. So how do you do it? Here’s a few tips that can help you have an enjoyable trip with kids of any age. Plan ahead. Unfortunately winging it is hard, especially if you are travelling in high season which is during the summer, spring break or any school holiday. A little research goes along way in making sure your trip is as family-friendly as possible. Dinner at a 5-star restaurant, probably not, but maybe lunch there is an option with little ones. Decide how you want to travel. Do you want to plan everything yourself or use an organized tour? Travelling independently allows you flexibility but you are also on your own. Running to catch a train last minute is a lot harder with strollers, suitcases and little ones in tow. If you go it alone, book your hotels, planes and trains ahead of time and allow plenty of time to get there. Consider family suites or connected rooms to give you more room to spread out. Rail passes are great but book your seats ahead of time so you are all sitting together. What about a tour or cruise? Gone are the days when tours were only for old people or school groups following sweaty tour guides holding big flags with hordes of tired travelers behind them. Today, many small-group, family oriented tours offer a great way to see Europe without having to worry about logistics. Picking your location is as hard as it gets and the tour guides do the rest. Travelling with family focused tours like Adventures by Disney or Tauck Bridges not only give you easy access to highlights of the top spots, but can, in many cases, give you unparalleled access that you just can’t get travelling on your own. On a recent Adventures by Disney Viva Italia itinerary, stops not only hit Italian highlights like the Spanish Steps and the Vatican, but arranged for a private Sistine Chapel visit with only members of the tour (think 40 people instead of 1500). Other irreplaceable highlights included an unscheduled stop at the American Cemetery outside Florence just as it was closing for the day. Members of the tour then got to participate first-hand in the flag lowering ceremony and hear the cemetery manager describe the battles that led to Tuscany being freed from the Fascists. Family tours also offer the opportunity for some couple time with organized “kids nights” where kids get some time away from their parents while parents get a few hours to themselves for dinner or a wine tasting. Pasta making is fun for everyone! An organized tour does still require stops at various hotels. If the thought of packing and unpacking three or four times per trip is not for you, a European cruise may be the lowest maintenance form of family travel. Several cruise lines of various price points, including Disney Cruise Line, Norwegian, and Princess, offer ocean-based cruises which skirt the entire European continent on different itineraries throughout the warmer months. River cruises, such as Amawaterways, Viking or Avalon, allow families to experience Europe from its rivers making it easier to visit major cities without long bus rides from ocean cruise ports. Adventures by Disney has even partnered with Amawaterways to create family-focused Danube River cruise itineraries. These cruises allow you to traverse the Mediterranean, experience the Norwegian fjords and bike through Amsterdam while only unpacking once per cruise. 3.) Relax and go with it. Travelling with kids can be unpredictable. Ice cream stops are a must and some museums or highlights will be missed, but so what? Will your 7-year-old remember the Louvre? Probably not. Will your 7-year-old remember splashing around in the fountain outside the Louvre? That’s more likely; and it’s certain that you will never forget it. Kids have a way of making the most curmudgeonly hotel employee smile and offer you an excuse for ordering that dessert or riding the carousel. As Helen Keller said, “Life is either a daring adventure or nothing.” Travelling with your kids, either near or far, will instill in them a sense of adventure that no other experience can replicate. Let us help you give this gift to your children. Contact your Favorite Place Travel specialist today to get you and your family on the road. Expertise: Family and luxury travel specializing in European and US travel, cruises, all-inclusives and itinerary planning. Favorite Place Travel-Georgia Office wins award! Best of Gwinnet 2017! We are proud to announce that Favorite Place Travel has been voted Best Travel Agency in Gwinnett County, one of America’s fastest-growing counties for the past 20 years. Call your Favorite Place Travel agent to book your vacations! Not too long ago, we had the opportunity to take a quick trip to Austin, Texas on the same weekend as the Austin City Limits festival. The bad news: we had the kids in tow. Austin City Limits (ACL) is billed as an “End of the Summer” music festival which takes place in Zilker Park, the Central Park of Austin. Drawing acts from around the world, it ranks as one of the top music festivals in the nation. Being from Chicago, I had visions of Lallapalooza-size crowds and not the most kid-friendly atmosphere (i.e. drunks wandering the streets). However, despite its unofficially tag line to “Keep Austin Weird” we were pleasantly surprised to find lots of kid-friendly (and adult-interesting) activities. We were lucky enough to stay with family in the area saving us both money and lending their local know-how to the trip, but if you aren’t that lucky, hotels are plentiful, but book in advance, especially if there is a festival in town. The downtown Austin area had all the major chain hotels while many boutique hotels can be found in South Austin. The South Congress Area, located just past Lady Bird Lake, named for the former First Lady, is a great spot to get a flavor for the local people who are working hard to keep the unique, artsy vibe to one of the fastest growing cities in the U.S. This area’s great mix of unique restaurants, boutiques, and independent shops kept not only the adults happy, but also the kids. You can smell the leather of Allens Boots a store-front away and this huge store is filled with every type of cowboy boot imaginable, including ones emblazoned with the orange T of the University of Texas. Once you’ve had your fill of shopping, there are plenty of family-friendly eating options including Home Slice Pizza, where they give the kids pizza dough to play with while waiting for their food. Once you’ve filled up on pizza, be sure to check out the Big Top Candy Store, an old-school candy store filled with nostalgic, old time candy favorites and unique candy from Texas and beyond. During the warmer months, the largest urban population of Mexican Free-Tailed bats hang out under the Ann Richard’s Bridge. Around dusk, these bats leave the bridge to feed for the evening. While normally this sounds like an area to avoid while 750,000 bats coming flying out of one spot, visitors and locals alike swarm to the spot to watch the bats take flight every night. You can take a boat tour which cruises Lady Bird Lake until they take off and then position themselves directly under the bridge (BTW, bats stink!) or watch from above on the bridge. For history buffs, the Bob Bullock State History Museum is just a few blocks from the state capitol and tells the story of Texas from the Native Americans to today. Also scattered around the city are signs of the city’s revolutionary past, which laid the groundwork for this city’s independent spirit. Replicas of the “Come and Take It” cannon which figured prominently in the Texas war of independence from Mexico and the “Come and Take It” flag depicting the cannon, the Lone Star and slogan, appear all over the city’s shops and galleries. While we never made it to the ACL grounds, there was plenty to keep us busy and enough to hope for another trip to Austin soon. The independent cowboy spirit mixed with an artist’s soul makes Austin the perfect place for everyone in your travel party. To book your trip to Austin or for more information, contact your favorite travel agent at Favorite Place Travel or call 404.409.4174. I was a reluctant cruiser. After years of traveling through the US and Europe “independently,” setting our own schedule, stopping when we want to stop, eating when we want to eat, left me with a bias against cruises. Someone else having control of my schedule just isn’t my thing, I’d tell friends and clients alike. 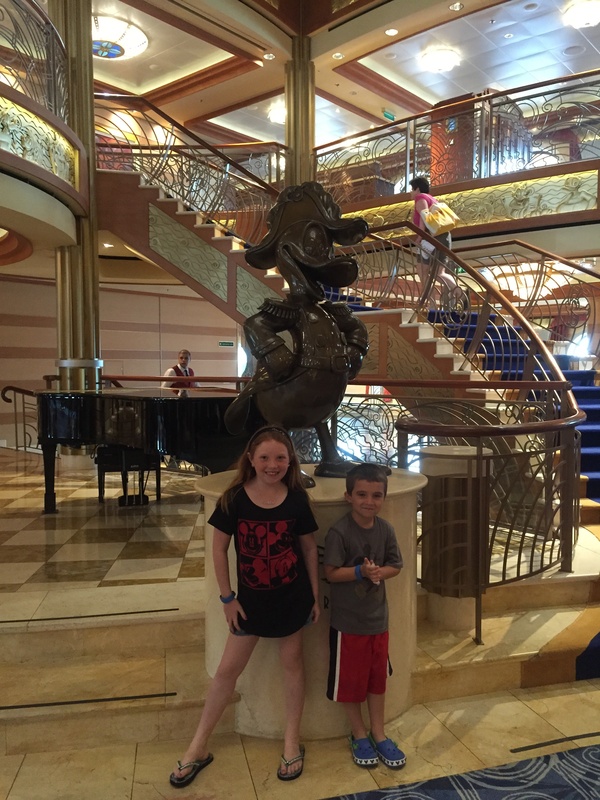 But earlier this year, our family was made an offer we couldn’t refuse and next thing we knew, we were booking our cabin on a Spring Break cruise to the Bahamas on the Disney Dream. We boarded the ship on Monday leaving Port Canaveral for our first stop in Nassau. 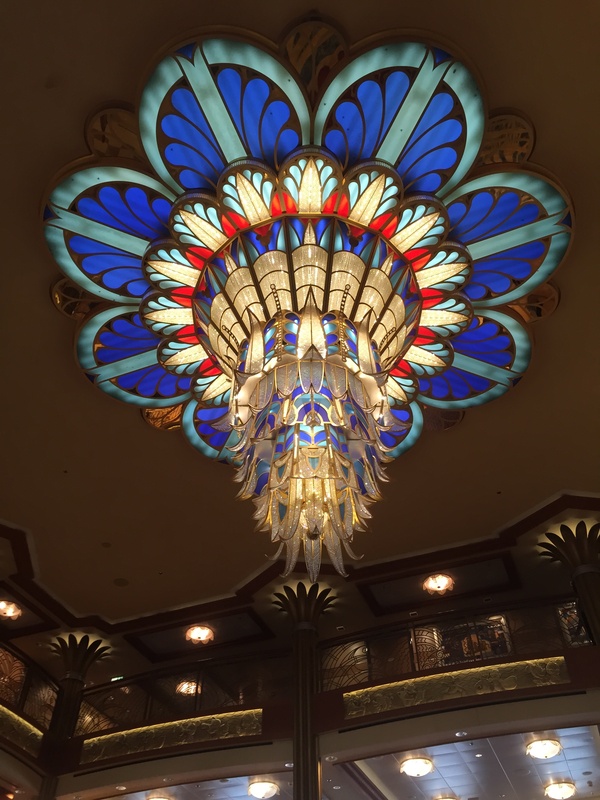 The ship’s lobby was gorgeous, very old Hollywood glamour, with a glass chandelier handmade in Italy, open ceilings and a touch of Disney with a bronze Admiral Donald Duck greeting passengers as they board. Others had told me that the ships weren’t overly “Disneyfied” and that was true. Certainly Disney was present in its décor, but subtly so. The biggest Disney characteristic was in the service provided on board. The staff was accommodating beyond words. Our wait staff, Gilbert and Christina, who remained with us every night despite rotating through the onboard restaurants, entertained the children along with providing impeccable wait service. The spa esthetician was the best I’ve experienced. My husband found the workings of the ship itself fascinating. Never having travelled on such a large vessel, watching the crew “park” and secure the ship, was amazing itself. Watching the ship approach Nassau from our verandah, first a lighthouse, than a slip of land, then the massive Atlantis complex raised excitement from everyone. However, the most excitement for the day was swimming with the dolphins at the Blue Lagoon, one of ship excursions. After an hour with the dolphins and a few more spent snorkeling in the crystal blue lagoon, we were well on our way to becoming cruise converts. Going to dinner and a show then waking up in Castaway Cay, Disney’s private island, made us fully converted. I would be remiss to not mention the Oceaneer’s Club and Oceaneer’s Lab, the kids clubs for the younger kids onboard. Our children chose to go for an hour or so each day after dinner. During that time, my husband and I explored the ship’s adult areas. 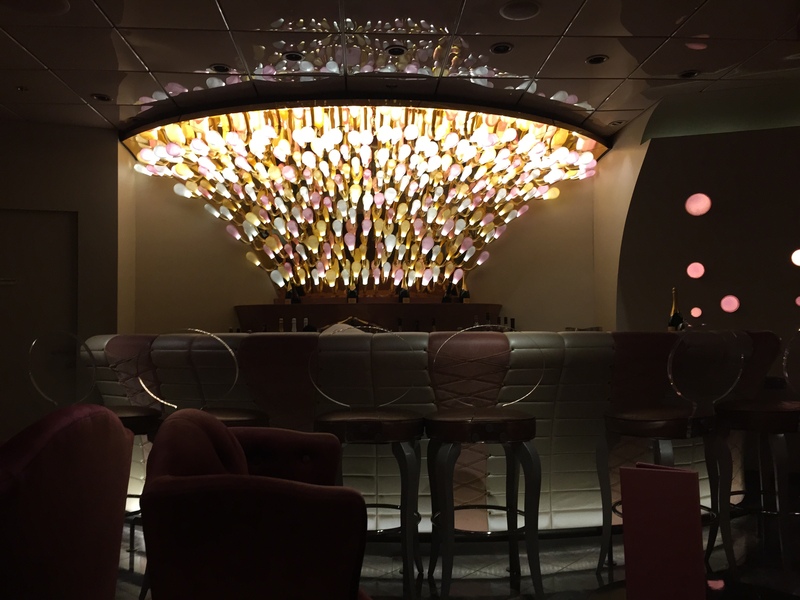 My personal favorite was the swanky champagne lounge, complete with pink and silver décor and a bubble fixture and corset bar. While I think my husband probably preferred the sports bar, what was clear is that there was plenty to do without children on board. 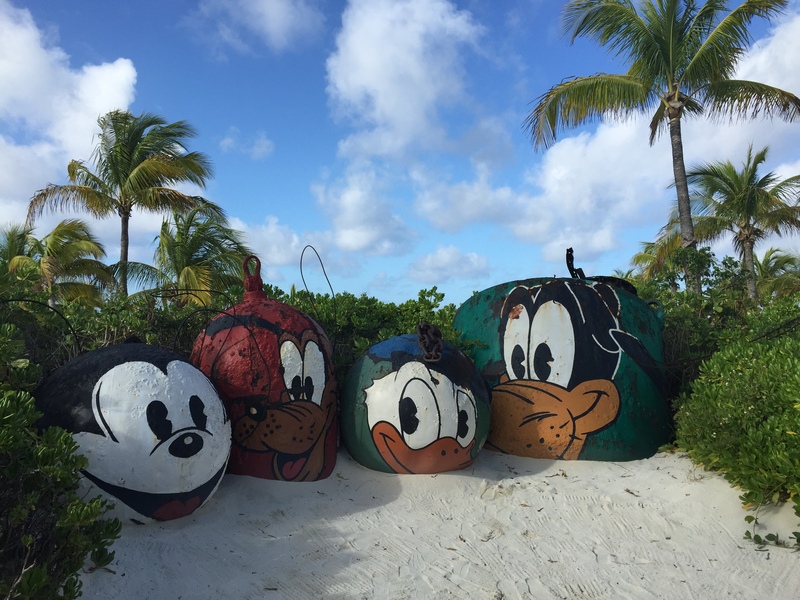 Perhaps the highlight of the trip, however, was Castaway Cay. The morning began with the Castaway Cay 5K, crossing the island at my slow and other passengers much faster pace. After the run, the beach provided plenty to do, from lounging to in-ocean waterslides and ropes area. The island itself has large family beach areas and adult beach area, bike trails and designated snorkeling areas. Despite the cruise being completely booked, the island never felt crowded or cramped. Snorkeling equipment and floats are available for rent. Our favorite activities were swimming with the stingrays and snorkeling searching for the sunken “treasure” off the beach. After 5 days onboard, I must admit that never once did I tire of having the schedule set for us. There were dozens of activities scheduled each day, but we never once felt pressured to do any of them. They were options, not requirements. As the person who typically makes the plans on vacations, it was refreshing to not have to worry about where we were going to dinner or what we were doing on a particular day. Would I want to cruise for every vacation? Probably not. Will I do it again? Absolutely. To book your trip or for more information, contact your favorite travel agent at Favorite Place Travel or call 404.409.4174. This is my third and final post on my experiences in Nassau, each of them very different. Please refer to Part 1 and Part 2 for the full series. 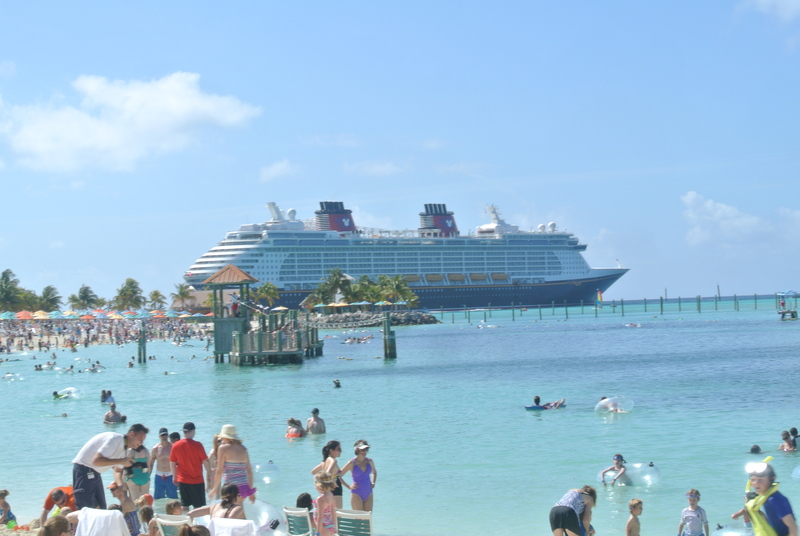 My third visit to Nassau was on a short cruise, and I was ready to experience a typical “cruise excursion”, but I didn’t want to go through the cruise line. I used Shore Trips to book a 10-mile bike tour. My husband and I were instructed to meet our guide in front of the Parliament Building which is just a couple of blocks from the port. While we were standing on the corner in front of the Parliament Building, limousines began arriving and dignitaries got out and walked into the building. They were a part of the mourning party for former parliamentarian and educator Frank Leopold Edgecombe. 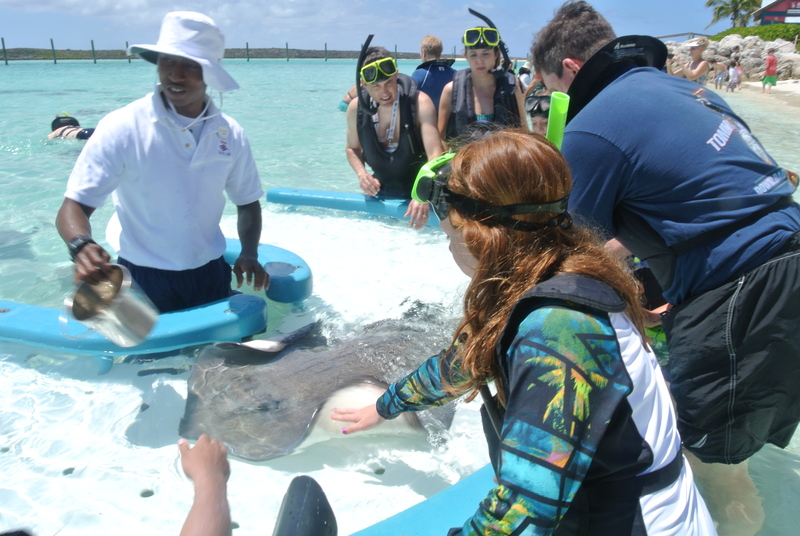 We were witnessing an important piece of Bahamian history! Our guide met us in her personal car, a lovely lady who hailed from England, but has lived in Nassau over 20 years. She took us to her home where we got on her bikes and took off. While this may seem unsafe, getting in the car of a total stranger and going to her home, I knew she was vetted and trusted by Shore Trips, and not once did I feel unsafe. The guide lives on the other side of the island, so we got to see a lot of Nassau that most tourists never get to see. We got to see where the locals live, away from the port, the rum cake and Senior Frogs. We took off on our bikes, and the guide provided some cookies, bottled water and rain ponchos. I didn’t think we’d need the ponchos, but it turns out the local guide knew what she was doing, and a few miles in, the bottom fell out of the sky and we were spared from getting soaked due to the foresight of the rain ponchos. Now, lest you be midled, this wasn’t a scenic tour of Nassau for 10 miles. We went down old roadways, through not-so-pretty scenery, but it wasn’t a strenuous ride, and we ended up at a local beach in the village of Adelaide where the water was still and clear, far from the tourists. I was able to get a conch shell right out of the water that the locals had discarded, instead of paying $20 for one marketed to the tourists. We returned to the ship in plenty of time, and of my three visits to Nassau, this experience was one of the favorites. Exploring on our own (Part 1) was excellent, although due to safety concerns, I don’t recommend it. 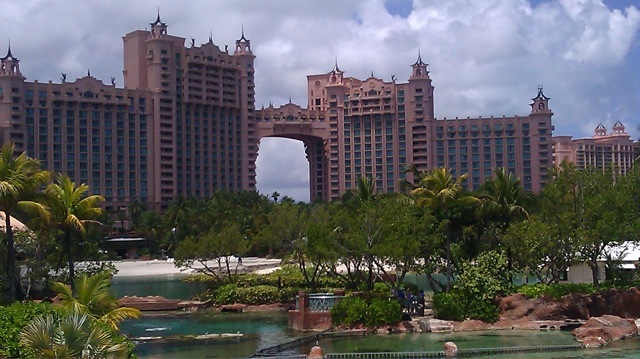 My visit to Atlantis (Part 2) was once-in-a-lifetime, but been there, done that. This organized trip by Shore Trips allowed us to see parts of the island we otherwise would not have seen and meet a great woman who loves her island and was eager to share with us. 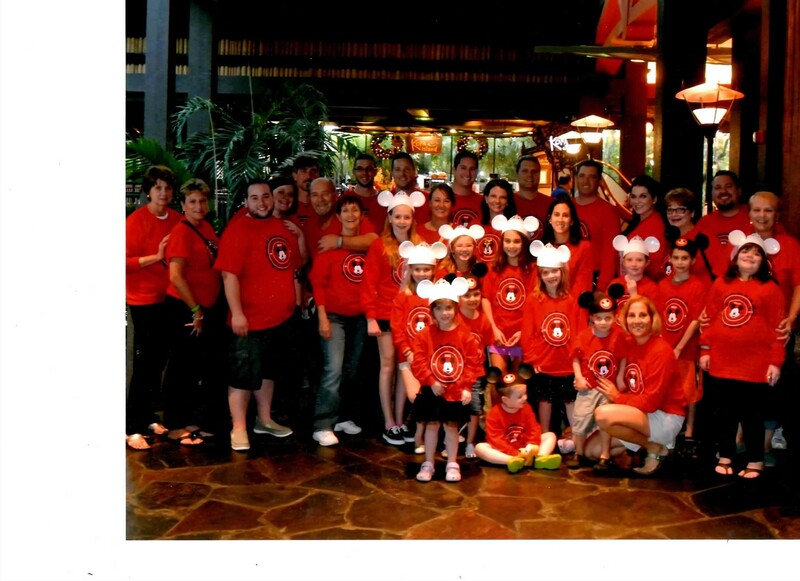 As many of you know, last December 32 of our family members came from near and far at Disney World for one week of family fun. It was fun, busy and full of crazy kids. Not too long after that trip, my husband and I had the opportunity to do something we hadn’t been able to do since our oldest daughter was born 8 years ago- sneak away, ALONE, just the two of us. So where did we go? To Disney World, of course! WHAT? The first time in 8 years we have the chance for a “grown ups” only trip and we go to Disney World? Not Vegas, New York or New Orleans? Yes, Disney World is the perfect place for a couples get away. 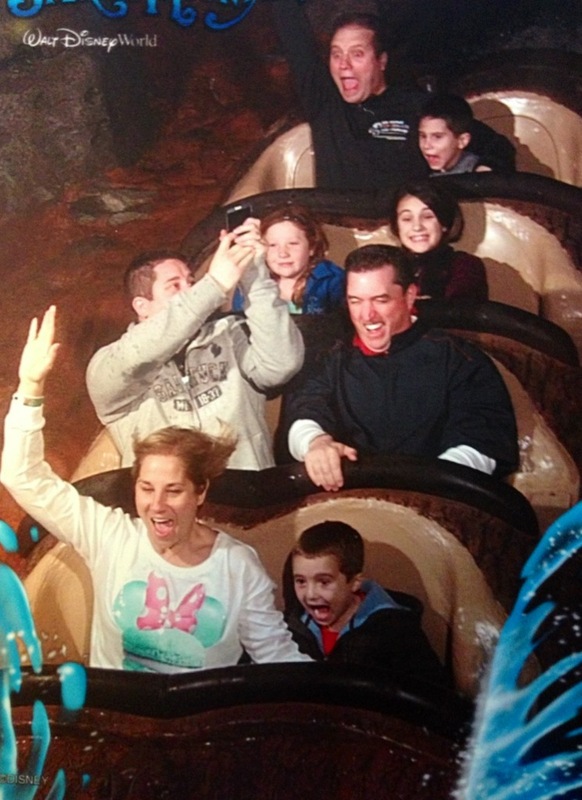 Prior to having kids, we had travelled to Disney World several times either alone or with couples. Our favorite time to visit was early Fall during the EPCOT Food and Wine Festival. Booths line EPCOT’s World Showcase offering culinary specialties, wine and beer selections from the featured countries as well as other countries and regions exclusive to the Festival. Wine and beer tastings take place daily, some for free and some for a nominal fee. While my personal favorite, dining experiences with world-renown chefs, feature either full meals or cheese or dessert specialties. (Last year’s festival featured dinners with Food Network’s Robert Irvine, Oprah’s personal chef Art Smith and Travel Channel’s Andrew Zimmerman.) While some kids may be up for one or more of the dining experiences, the events as a whole are decidedly adult focused. This trip, however, could not wait for the Food and Wine Festival, but still offered plenty to keep us occupied without kids. 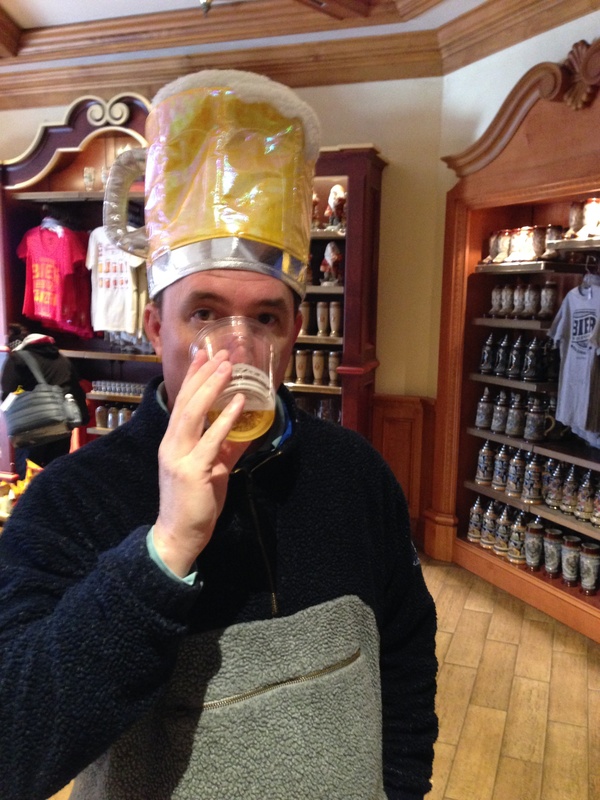 We were able to make those dining reservations we avoided when we visited with our kids and stroll around the World Showcase sampling beer and wine from host countries and not rushing from one ride to the next. We went to the dueling piano bar and had drinks after dinner and generally enjoyed each other’s company. Could we have done these things other places? Sure, but nowhere else are we also able to jump on Soarin’ after drinks in Great Britain; watch Fantasmic! after having tapas and wine and the Brown Derby; or see my husband drink a beer in Germany with a giant beer stein hat on his head! Overall, our couples experience at Disney World was everything we remembered from our pre-kids days but even better, because we appreciated it even more now! We wouldn’t have picked another place to spend our first “solo” trip. To book your trip or for more information, contact your travel agent at sgross@favoriteplacetravel.com or sglover@favoriteplacetravel.com or call Susan at 708.479.4693 or Stacey at 404.409.4174. Have you been waiting for the perfect time to plan your next, or **GASP**, first Disney vacation? The Free Dining Promotion is the offer you’ve been waiting for! It is now available to Disney Visa cardholders and it will be available to the general public on May 7th! Does this promotion offer any real value to you? YES! The Regular Dining Plan is roughly $60/adult/day and roughly $21/child/day, so for a 3-night, 2 day stay for a family of 2 adults and 2 children, the Free Dining Promotion is a value of almost $500! A 3-night/2-day ticket is required. Dining Plan is attached to your room nights, not the number of park ticket days. Promotion is based on arrival date, so if you arrive on 10/3/14, for example, you would get Free Dining for the length of your stay. Not valid at all resorts. Value Resorts receive Quick-Service Dining but can upgrade to Plus Dining for a reduced fee. Contact Favorite Place Travel for details and to secure your magical vacation! Everyone thinks of a trip to Disney World as a vacation for kids- maybe take the family a couple of times while the kids are little, check it off your family “to do” list and move on to the next thing. However for many of us who grew up in a “Disney family”, a trip to Disney World feels like coming home. Over the recent holidays, that’s exactly what 32 members of my family did, we came “home”. Travelling with 32 people, coupled with the Christmas craziness, led to an experience I like to think of as “Disney in the extreme”. Travelling with a large group of people, let alone family, can remove any hope of relaxing right out of your vacation plans, but after a few of these trips, I’ve learned a few things that that can help you and your group have a great trip, maybe even with a little relaxation time too. 1. Pre-planning is a must. Start thinking about your group vacation at least 3-4 months ahead of time. Whether your trip is to Disney World or the beach or Ireland, when you are travelling with a large group of people, plans are imperative. Restaurants likely can’t take a large group as a walk-in at peak dinner hours, especially at Disney where restaurant reservations can be made up to 180 days ahead of time. Hotels fill up, especially at peak vacation times, and it’s much more difficult to “squeeze in” a large group versus a single family. 2. Discuss your expectations. It’s important to make sure everyone is on the same page. Will you all be travelling together all day, every day, or just meeting up for a few meals or activities during the week? Talking about everyone’s expectations ahead of time can save hurt feelings due to some members of your family having different ideas about what the vacation will be. 3. Don’t overplan. Yes, this tip seems to contradict #1, but really they balance each other out. While you should have some plans set in stone, leave time to just “hang out” and enjoy each other’s company. Cousins really get to enjoy and get to know each other while playing in the pool. If you have cooking facilities, have dinner in one night where everyone can relax without the pressure of time or worrying about disrupting other guests. Taking time to enjoy your family (or whomever your group may be) outside of the hustle and bustle of everyday life can lead to experiencing them in a whole different, relaxed light. Let us assist you in making your trip one full of a lifetime of memories. Disney just released a Summer Promotion! DIVE INTO BIG SAVINGS WITH THIS SUMMER OFFER! With special benefits and legendary service, Disney Resort hotels are filled with wonder and excitement. And now is a great time for you to take the plunge with huge savings! 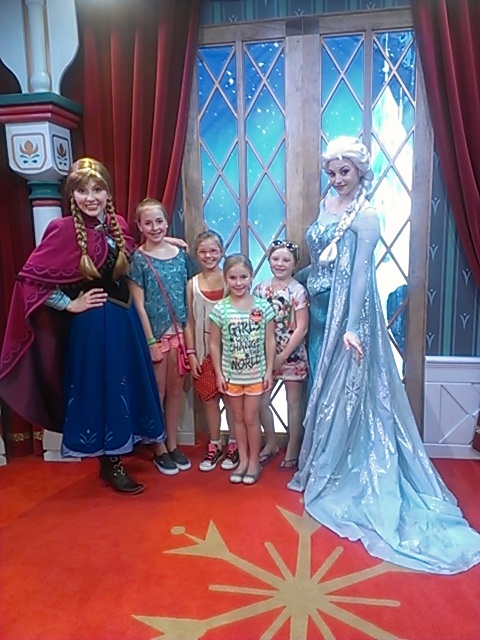 Save on rooms at select Walt Disney World® Resort hotels for stays most nights June 15 – Aug. 28, 2014. In Part 1 of this series on Nassau, Bahamas, I talked about visiting tourist spots outside of an organized excursion through the cruise line. 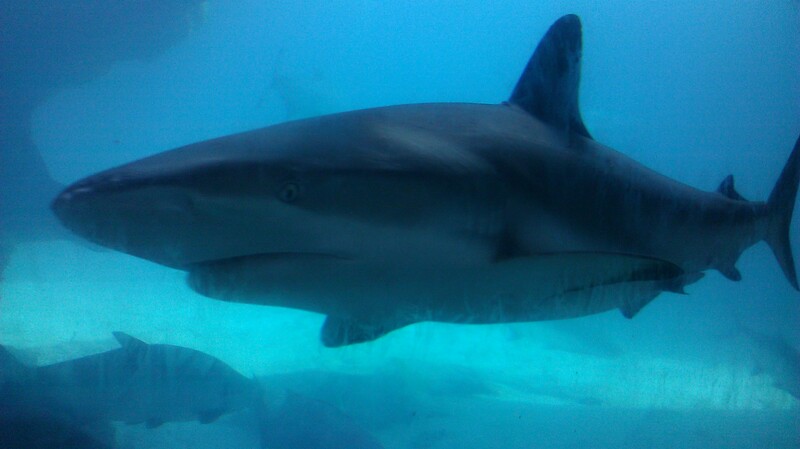 The second time I visited Nassau, I was able to stay at Atlantis with my husband. Atlantis is a behemoth, and it is every bit as amazing in person as it is on all of the commercials on tv. It is a cross between a popular water park and Vegas. The beaches are beautiful and the water slides are thrilling! 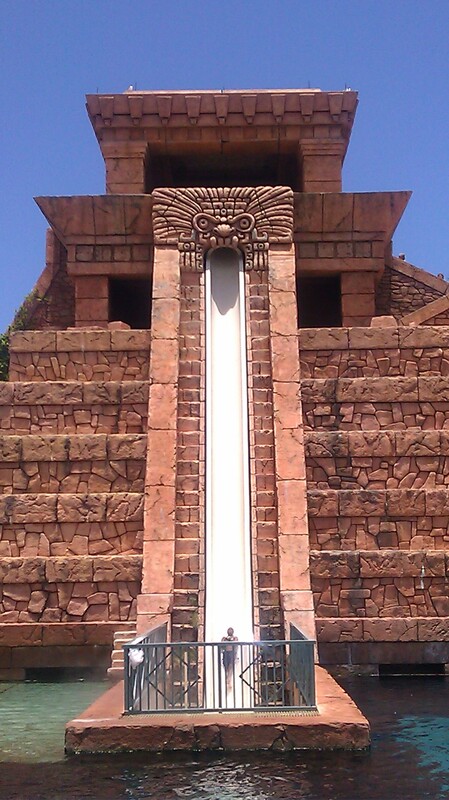 After going down the Leap of Faith, the slide that goes straight down and through the shark tank, it took me a minute to recover my wobbly knees! There was competition to get a chair by the large pool due to all of the cruise day-pass traffic, so be sure to go down to the pool early before they arrive. Much like a cruise ship, all of the water activities shut down at dark and the nightlife begins. There is a boardwalk area called the Marina Village at Atlantis adjacent to the resort with family-friendly dining including Ben and Jerry’s and Johnny Rockets, and shopping. There are many different activities for children in the resort, including a family-friendly restaurant, Sea Grapes. There are also many restaurants and clubs to enjoy if you find yourself without kids for an evening. There is a movie theater within the resort that shows both kid-friendly movies and popular blockbusters for the older crowd. Wait until your kids are old enough to enjoy the bigger thrill water slides. If your children are small, I wouldn’t make this large of an investment to enjoy a kiddie pool. The grandeur will be lost on them, and you’ll be captive to the kid areas, preventing you from getting the most bang for your buck. If you want to experience the culture of the Bahamas, you’ll have to leave the resort. Atlantis strives to provide for your every need so aside from arriving at the airport and driving to the resort, you may as well be in a sunny location in the US…or anywhere. There is no local color represented here, but you can cross the bridge from Paradise Island and go into Nassau if you’d like to do some local shopping and dining. Atlantis is not a budget-vacation. The price of a fully encompassing vacation is steep, so budget ahead of time (and then save more) so you can fully enjoy everything Atlantis has to offer. There is a way to enjoy Atlantis on a smaller budget by staying at the Comfort Suites Paradise Island Hotel that is located adjacent to the Atlantis Resort. When you stay at this hotel, you have full use of all the facilities at Atlantis. This is a fabulous way to enjoy the luxury offered at this opulent resort for less! The Atlantis Resort is a once-in-a-lifetime vacation destination for many and Favorite Place Travel would love to help you make this dream vacation a reality! Like us on Facebook to see deals around the world!